Designed by Alvar Aalto in 1953, this lamp is mounted directly to the ceiling. Shaped like an inverted cone, your room is illuminated from the center opening and from the small stair-like slats which cover the sides of this lamp. 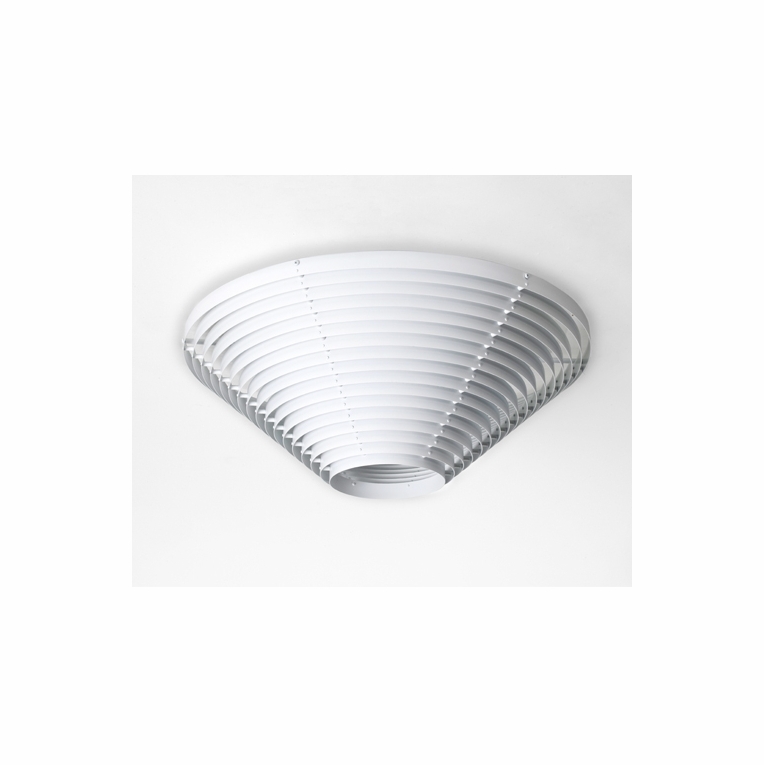 Hand-riveted, the louvered steel shade is painted a simple white. Ships assembled.Please review our Shipping Information page before ordering. Payment: 50% will be charged at time of order, remainder will be charged at time of shipment.